The Jackson Galaxy Foundation will partner with shelters across the U.S. to implement Cat Pawsitive, an initiative that introduces positive-reinforcement training to shelters, beginning April 19. Three feline behavior experts hand-picked by the Foundation will lead the pilot program in nine shelters across the country, ranging from small, limited-admission private shelters to large, open-admission municipal facilities. The shelters will each participate in three webinars with the trainers and will have direct access to the team for consultations throughout the three-month program. Cats who are exposed to reward-based training methods gain confidence and experience reduced stress through clicker training sessions; soon they are building connections with staff, volunteers and potential adopters. Cat Pawsitive can help a shy cat learn to feel comfortable coming up to the front of her cage to meet an adopter, a feisty cat learn to play nice, and an outgoing kitty learn to give an endearing "high five" to his visitors to seal an adoption deal. “We are thrilled to be working with organizations all over the country to show the world what can be done to step up the game, and improve outcomes for cats in shelters,” says Galaxy. Cat Pawsitive will run from April 19 through mid-July and will conclude with an analysis of the program’s impact. The Jackson Galaxy Foundation is a 501c3 non-profit organization that improves the lives of animals at risk by transforming the places they live and helping the people who care for them. 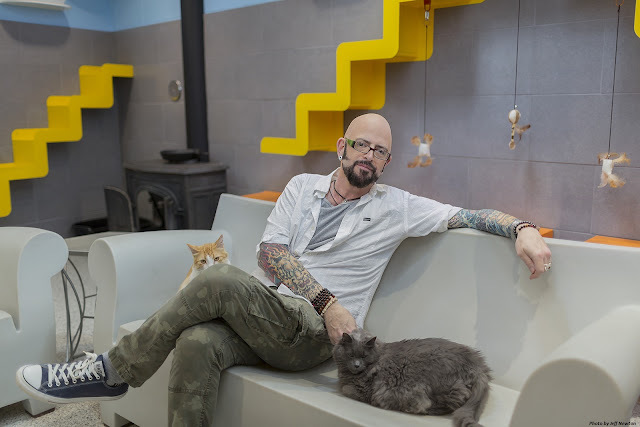 JGF is led by the vision of Jackson Galaxy, who through his years in animal welfare, as an animal advocate, his work as a behaviorist and host of his globally popular TV show, ”My Cat from Hell,” has developed an unwavering commitment to help animals at risk and the people who work tirelessly to get them homes. 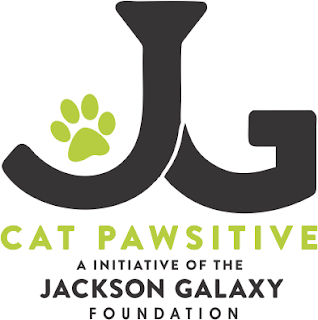 The Jackson Galaxy Foundation focuses on programs that drive innovation; promotes improved shelter design and construction; and provides “Elevation through Education”—increased knowledge that inspires and empowers staff, volunteers, rescuers and adopters to continually raise the bar for animals at risk. This is so cool. I can't wait to see what positive things this program will bring for both cats and humans. Wow, maybe some day all the good shelters will have programs like that! There are so many wonderful programs for our babies. I love this. Hey, this is interesting! I've often wished that Jackson would get more involved nation-wide. The start of something big! This is such a cool program! I like that the unique needs of cats are being taken more seriously these days. There are so many simple things we can do to improve the lives of cats. That cool Jackson dude always has something good cooking! That is a super duper cool program and we know it's going to help lots of kittens. I'm happy to see NYACC is participating. We hope it helps them a lot. Great posty. Hope lots of kitties get furever homes. This sounds like a great program! Yes, that sounds like a wonderful program, and we hope lots of shelters implement the program. That sounds like a wonderful program. What a fabulous program!! We hope it's a huge success! That sounds like a terrific program! We're excited to see how things work out in the end! Great news. Shelters cats needs more than just food and a warm place. We love this idea and hope one day it comes to Canada. We sure could benefit the shelters here with pawsitive reinforcement. It works for Kali and I and we're sure it will work for the kitties in shelters too. sounds like such a great program!